*This type of posting is highly recommended. 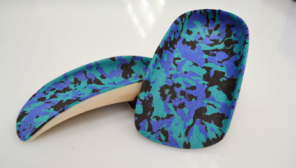 Server Pronation, Rearfoot and Forefoot Varus, Serve Talonavicular Subluxation. *This type of the posting is highly recommended. 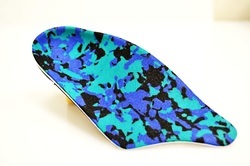 Serve Pronation, Serve Rearfoot Eversion, Serve Hypermobility, Rearfoot and Forefoot Varus. 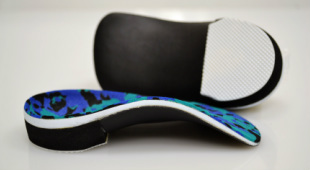 This Orthotic Device works Perfect in Bio-mechanical Control. 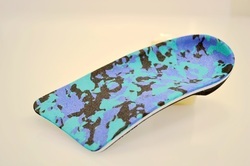 5/32'' Polypropylene *Extend Shell to Sulcus on the 1st & 2nd Met and Cut Shore on the 3rd, 4th&5th mets. *Cut Proximal to the 1st Metatarsal Head and Extend Distal from 5th Metatarsal Head to the 5th Toe. 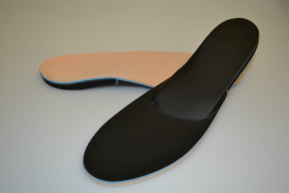 This In-Toe Gait Plate Device special use for patient who has Out-Toe Abnormalities.